Portals in Time follows ten time travelers on their quest to find a cure for an epidemic of people who are aging prematurely. What was the inspiration behind the idea for this novel? There is no doubt that those of us living in our modern world feel and sense the compression of time upon our lives. Not only are we in competition with our unknown and fast developing high tech future; but we are also aware, perhaps more than ever, of our personal limitations as human beings. Our sense of identity and belonging no longer comes from the village and its elders nor the wisdom that they might bestow upon us as we question our role in society. We are rapidly becoming separated from who we are as social and soulful beings and are now being asked to interface with computer systems which are constantly evolving. As a result, we are feeling alienated and disempowered. There is no heart or soul within a machine; and yet, we are witnessing the acceleration of High Tech into all aspects of our lives. Quite simply, their overwhelming desire to conform has left them devoid of all their natural impulses and sensitivity. Stripped of positive thoughts and self-reinforcing feelings, they have begun to age much faster than normal. It is time for us to reflect upon how we as human beings define our future! At the moment we are being asked to interface with machines as if those machines represent our Greater Good! The only question that remains is how do you define the Greater Good? The ten characters we follow are prisoners with specific skills and various backgrounds. What was your favorite character to write for? The main protagonists in the book are ten prisoners from Grippland who volunteer to become time travelers with a mission to locate and return with the Secret to Un-Old-age! Their rewards for a successful mission will be freedom and a new identity. Their names are Grist the Commander, Twist the Politician and Scheme the Businessman, Babble the Publicist, Stare the Engineer, Dr. Grouse, Grubb the Biologist, Gritt the Geologist, Grimm the Psychologist, and Grind the Archeologist. They are numbered one through ten according to their perceived value on the mission. The Team members were chosen for their specific skills and abilities to work together and explore any new worlds they might encounter. Most are mature and hardened individuals who are definitely capable of adding to the success of the mission. A few of them only volunteered for the Eye of Time Exploration Team for personal gain and/or to escape Grippland! Grist, the military leader and former General, has earned the rank of being number One on the Mission. Twist as the name might imply is a politician who is well experienced in twisting the truth. He has earned the rank of number Two and has been deemed valuable as one capable of conjuring up plans which might deceive any unsuspecting and naïve society. Number Three, Scheme Businessman was chosen for his ability to exploit anything of potential value. As you can imagine with ten principal characters it is difficult to develop them all completely, however, they are each highlighted in various scenes throughout the book when they encounter their own misadventures and inspirations. Stare the Engineer is number Five; and as his name implies, he appears to always be in another world even though you may be talking directly to him. He is considered extraordinarily valuable to the team since he is the only team member who possesses advanced engineering skills. 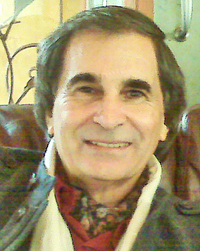 His character is highlighted several times in the book when he encounters a trans-dimensional entity by the name of Delphos who can enter dreams and so much more. It is very difficult to determine any particular favorite character. Perhaps it would be number Seven, Gripp Grubb the Biologist. I favor him because he endures so much and helps to bring the storyline forward in many different ways. I enjoyed creating all the Gripp personalities and using their unique characteristics to develop and move the action forward in a believable fashion. In the beginning the Gripps are perceived as ruthless and senseless beings without feelings or introspection. As they progress throughout their adventures, they all encounter different aspects of themselves, which allows them to gain greater insight into their being. The last chapter of the book demonstrates that no matter how stubborn and shut down they have been, the Gripps did learn and begin to understand a new way of thinking and being. They left with hope and inspiration in their hearts. This is a fascinating novel that is high in social commentary. What were some themes you wanted to capture while writing this book? 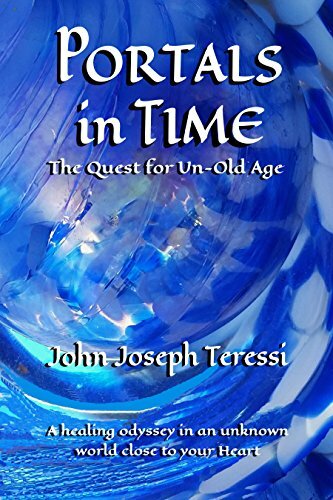 “Portals in Time: The Quest for Un-Old-Age”, is an allegorical adventure based upon an advanced culture in which the human element of society has been deemed irrelevant by the edict that each must bow to the Greater Good. This concept ensured that High Command could dominate all aspects of Gripp life. Part of the autocratic ideology was that all individuals were considered guilty of something until proven un-guilty. 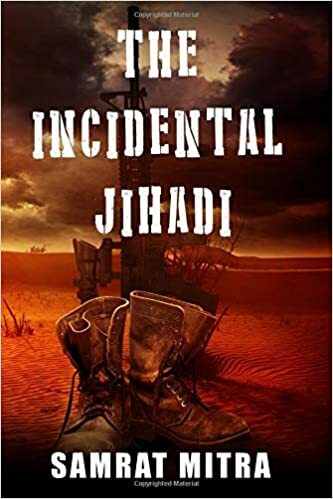 It was impossible to proclaim innocence since High Command was certain that it would only be a matter of time before your crimes were uncovered. Laws and regulations were being devised, implemented, and changed daily and all statements and even thoughts were suspect. Thought Stalkers were immediately rewarded for reporting on their fellow Gripps. Eventually, Grippland citizens lost all sense of who and what they were, but more importantly, they were also unaware of what they were becoming. Without joy and wonder, humor and laughter, they began to age rapidly as more and more restrictions penetrated and encircled their lives. The Quest for Un-Old-Age compelled scientists to find a cure for the rampant, premature aging of the population. They send ten members of the expendable community of prisoners through time, hoping to find a solution. These members arrive in a beautiful land on another dimension called Acronos. It is a magical place where nature is intelligent and aware of All That Is. This book was designed to show that we must be far more aware of who we really are as a humans, possessing our precious sensitivities, feelings and soulful expressions. On their journey of exploration of Level Seven, the Grips are exposed to the Seven Harmonies of Live which represent the rediscovery of what they had lost as a society. The Harmonies are (1) Inner Tone, (2) Rhythm and Rhyme, (3) Trust and Intuition, (4) Knowing Your Heart, (5) Joy and Wonder, (6) Humor and Laughter, (7) Forgiveness and Letting Go. The principle theme that runs through Portals in Time is that we are indeed all travelers through time. We want to make the most of our lives and be empowered by what we know and experience. If we lose our sensitivity and awareness of our core values as human beings, we may be transforming ourselves into something more compatible with a Machine Culture than with each other. The sequel to “Portals in Time”, sub-titled, “The Prophecy” finds the Eye of Time Explorers back in Grippland, but they are experiencing a time warp, which advanced them more than three hundred years into their society’s future. Everything they knew about life in their former world is gone. As they struggle to comprehend why their society vanished, they eventually realize that information and the processing of that information became far more valuable than any member of Grippland. Gripps were eventually replaced by working machines and those machines were replaced by even more advanced machines. The ten surviving members of the Eye of Time Exploration Team managed to successfully return to their point of origin, but in reality their point of origin no longer exists. They try to comprehend what occurred and ultimately discover that groups of robots went to war against more advanced robots. The Gripps arrived in an the future after the great Robot Wars, when the remnants of Gripp society existed only in small, scattered groups in tunnels, caves, and in the forbidden zone deemed to be radioactive and dangerous to all synthetic beings, i.e. the Robots. The principal themes in the sequel will test the Gripp’s resolve and creativity as well as the values of humanity that may still lie dormant within them. Will they remember those adventures on Level Seven and will their exposure to the Seven Harmonies of Life empower them with renewed strength and resolve which they might potentially share with the remnants of Gripp society? Will these ten former prisoners become the heroes of a defeated society in an advanced future and will they be capable of reclaiming that future from the tight grip of powerful and advanced machines? At present there is no specific timetable for the release of the second book. It is still in the design phase. If you enjoyed, The Alchemist, A Wrinkle in Time, and The Celestine Prophecy, you will love this book. If you thrive in nature and appreciate a spiritual journey leading to wondrous discoveries that can change your life, you will be amazed by this exciting adventure that engages and entertains readers of all ages. The story begins with ten volunteers, the Grippland Eye of Time Exploration Team who are former prisoners sent via time-travel to discover the Secret of Un-Old-Age. Grippland High Command rules with an iron fist, using thousands of laws, censorship, and intense surveillance. They reward Thought Stalkers and have eliminated the use of positive words that are now hidden away in the Word Museum. The Gripps Exploration Team’s mission is to save their civilization and find a cure for the citizens who are aging prematurely. The Gripps arrive in another dimension, a mysterious land called Acronos filled with natural beauty and harmony. They encounter many intelligent and unusual life-forms and are shocked by nature’s amazing awareness. They are greeted by the Guardians of Acronos, two highly-evolved time-travelers who attempt to share the wisdom of The Seven Harmonies. The Gripps experience one surprising event after another in which time changes, twists and turns until they begin to realize that their thoughts are creating their reality and reality is mirroring who they are and revealing their true nature. There are few times in our lives when we can become lost in a fantasy that can affect our lives in such a meaningful and positive way. You will not forget the characters and the wonder of nature in this story of love, patience, understanding, and redemption that will enhance your life and live in your heart.